The University of Southampton is said to be reviewing its position on a controversial conference about Israel’s right to exist after coming under intense pressure from pro-Israel lobby groups. President of the Board of Deputies of British Jews Vivian Wineman met with university Vice-Chancellor Professor Don Nutbeam on Wednesday to express concerns about the debate. Representatives of the Board criticized the event for featuring mostly “anti-Israel activists” and warned it could result in displays of anti-Semitism on campus. Anti-Semitism remains a major concern for Britain’s Jewish community following terror attacks in Paris and Copenhagen earlier this year which targeted a kosher supermarket and a synagogue. Wineman visited the college with the vice-president of the Board of Deputies, Jonathan Arkush. “We put forward very strong concerns. The conference is formulated in extremist terms, has attracted toxic speakers and is likely to result in an increase in anti-Semitism and tension on campus,” Wineman told the Jewish Chronicle. “The university is reviewing its position is considering all the options open to it,” he added. RT contacted the university to confirm Wineman’s statement, but is yet to receive a reply. “We were listened to with great care,” he told the Jewish Chronicle. 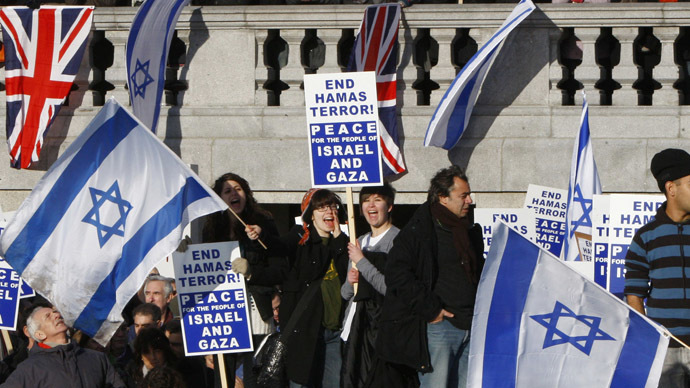 The University of Southampton has come under intense pressure over the conference, which is organized by Israeli-born Professor Oren Ben-Dor. Former Treasury minister Mark Hoban MP wrote to Nutbeam, calling on him to “reconsider” the university’s sponsorship of the debate. Britain’s Ambassador to Israel Matthew Gould met with the vice-chancellor organization Universities UK in early February to express his concerns over the conference. Critics such as the Fair Play Campaign Group claim the event will be dominated by “anti-Israel activists” and will not be a fair debate. Some voices also fear the event will contribute to the growing climate of anti-Semitism in the UK. On Tuesday, organizers of a separate pro-Israel conference taking place on March 22 said they were “shocked” by the level of anti-Semitic abuse the event had received on its Facebook page. Internet trolls wrote extreme messages, one which evoked the mass extermination of Jewish people during the Holocaust. “Nazis did well to protect themselves too against the Jews but shame they didn’t go all the way,” they posted. Prime Minister David Cameron responded to fears over rising anti-Semitism and the possibility of a terrorist attack on British Jews by announcing extra funding for the Community Security Trust, an organization which combats anti-Semitism. Cameron pledged an extra £3 million in funding during the charity’s annual dinner on Wednesday. The additional sum is part of a new £11.5 million annual grant for community security, the Jewish Chronicle reports. “It is a measure of the health of our democracy and of the vigor of our institutions that the Jewish community feels safe to live and flourish here. It is about the strength of the values that we stand for,” Cameron told attendees.